At AlphaLogix we value the importance of training in your business. Interactive: We believe that training is most effective when it is interactive and this is particularly true for Sage 200 training. Throughout the training our Sage 200 Consultants provide their trainees with the opportunity to perform actions in a safe training environment which is a reflection of their live environment – we find that this method of training, on what’s relevant to their businesses, is well received and appreciated by our Clients. Bespoke: The training that we provide for Sage 200 is specific to the requirements of each Client, and these requirements can change drastically from one Company to the next. It is important to AlphaLogix that our training delegates take away as much as possible from the training which can be provided on site at your premises or at one of our designated training facilities. Questions and Answers: For our Sage 200 training we factor in appropriate time for questions and answers as we feel it is important that the trainees have a good understanding on the areas being covered, and that they feel they can ask as many questions as they need in order to fully understand the areas being covered. All of our Sage Trainers are fully Accredited for the Sage 200 Suite and are happy to help. The Sage 200 training manuals that supplement our Sage 200 training continues to receive positive feedback. 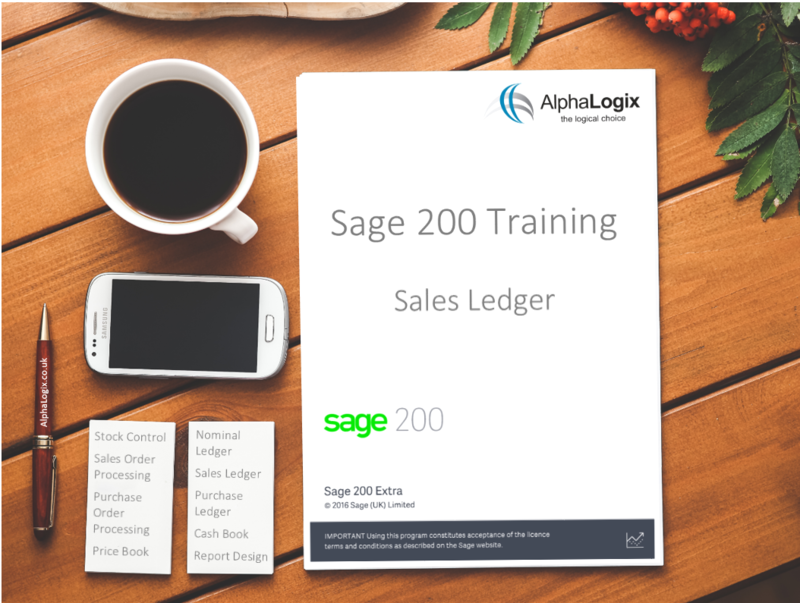 Customised to your needs: Very few Sage 200 Business Partners provide training manuals but at AlphaLogix we feel that this is a very important part of the training session and we believe this sets us apart from the rest. The training manuals that we provide are made relevant to the training being given on any day and this level of detail and relevance is fully appreciated our Sage 200 Trainees. Quality is key: The quality of our Sage 200 Training Manuals is of a very high standard. 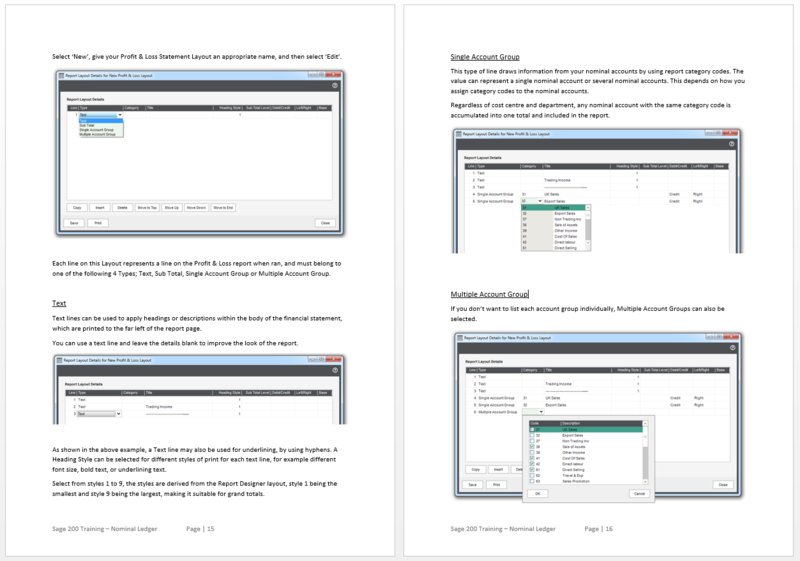 We include Sage 200 screenshots throughout the manuals with explanations and descriptions of the areas being covered. Once printed, we cover and bind the documents in order that they stand the test of time and are there for our Clients to refer to whenever required. Take Notes: We leave spaces in our Sage 200 training manuals in order that trainees can make notes on the documents, which can be referred to after the training has been provided. We have offices in Chepstow, London, and Hampshire, with clients spread throughout the UK, the South West and South Wales.